It was a cold winter’s day in mid-December. I was walking around Pakim Pond over in Brendon T. Byrne State Forest waiting on sunset. Sunset didn’t send off much color – but what caught my eye was the reflection of the pine trees in the mirror-like water. Even on a cold, dreary day with no color in the sky there was still signs of life in the pine trees. Their needles still held on to life with their green color and the reflective water was there to feed them. This reminds me that even on the darkest day where it seems there is nothing to look forward to… there are signs of hope if we will only take a minute to open our eyes wide and look for them – they may not be what we were initially looking for or where we were looking – they may actually be hidden right in front of us. 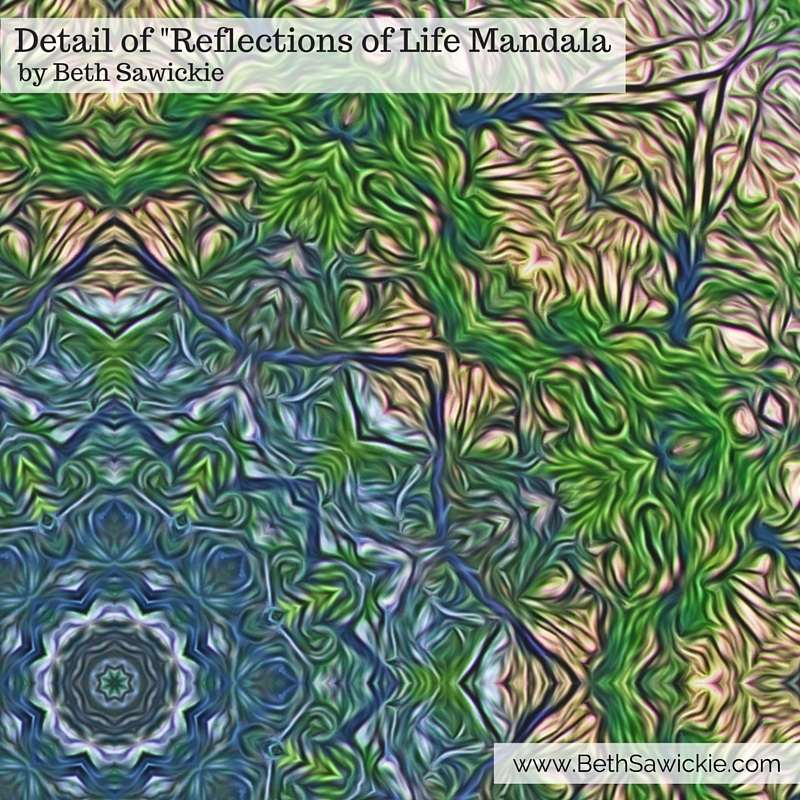 Prints and gifts featuring the “Reflections of Life” mandala are available. Click the button to browse and purchase! What is YOUR favorite sign of life out in nature during winter?